NFL: Jameis Winston and Marcus Mariota preseason debut breakdown | NFL News, as it happens, when it happens. Your one stop shop. Jameis Winston and Marcus Mariota, quarterbacks taken first and second in the 2015 NFL Draft debuted for their respective teams in their preseason openers. Jameis Winston, drafted first overall by the Tampa Bay Buccaneers, had his debut on Aug. 15, and struggled in the game against the Minnesota Vikings. Winston finished the day throwing 9-for-19 for 131 yards. He also threw an interception. Winston’s day was off to a bad start, as he kept missing receivers, usually overthrowing them, or throwing too high, like his interception. He also got hit often and sacked twice. Jameis also fumbled a snap. Though there were many negatives, Jameis did show off his talent and why the Bucs chose him first. He led two scoring drives, one ending in a field goal, one ending with a touchdown. His touchdown drive was impressive, as on the nine-play 76 yard drive, he completed five straight passes. He then capped it off by running in a touchdown from eight yards out. 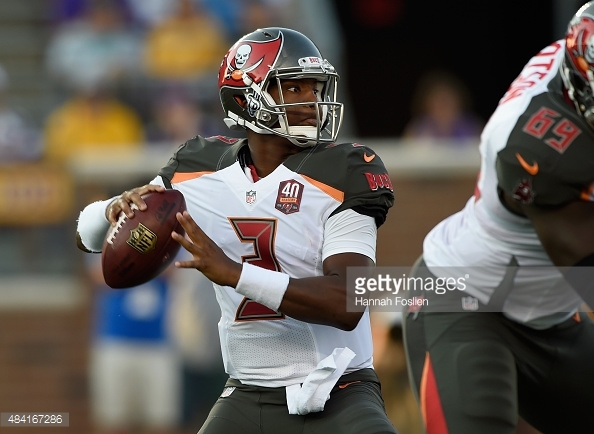 Though Winston had a shaky and troubling debut, there should not be anything to worry about. It was the first preseason game, and there’s three more to go. Even though Winston has lots of expectations, he is a rookie and will have speed bumps. He has the talent to be great, and should progress through the preseason. 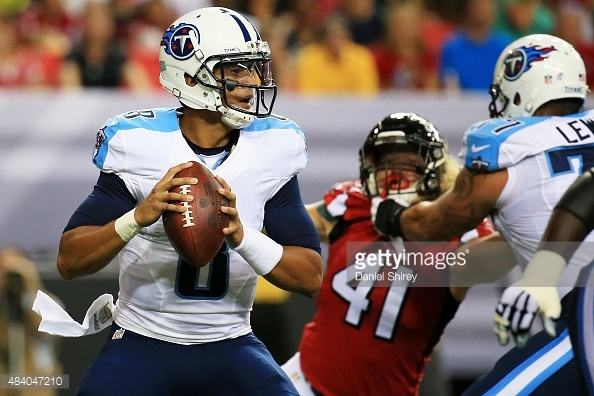 Marcus Mariota, drafted second overall by the Tennessee Titans, debuted on Aug 14. against the Atlanta Falcons. Overall, Mariota played great in his debut, even though he struggled and got off to a bad start. His first two possessions ended in turnovers, one being an interception, and one being a fumble returned for a touchdown. When his first ever NFL play led to being sacked, Mariota threw an interception after he failed to see Falcons linebacker Justin Durant sprinting to make a play and stopping the screen. On the fumble, guard Chance Warmack blew the protection, letting Jonathan Babineaux strip the ball as Maritota stepped up to pass. However, after those two mishaps, it was smooth sailing as we saw Mariota show off his talent and accuracy we had been accustomed to seeing when he was an Oregon Duck. Mariota led a scoring drive where he threw for four straight completions, and was capped off by a Dexter McCluster rushing touchdown. At the end of the night, Mariota finished seven-for-eight for 94 yards, with the interception being his lone incompletion. Even with Mariota heading out of the gate struggling, he surged and finished strong. Marcus looked comfortable in Ken Whisenhunt’s offense, silencing some questions on whether he would be able to adjust to an pro-style offense. However, Mariota did seem more comfortable taking snaps from shotgun instead of under center. Both Winston and Mariota had bad starts, but showed their toughness and mentality by being able to power through and finish strong. Though it is only one preseason game and that we should take this with a grain of salt, the future looks bright for the Buccaneers and Titans, and their franchise quarterbacks.